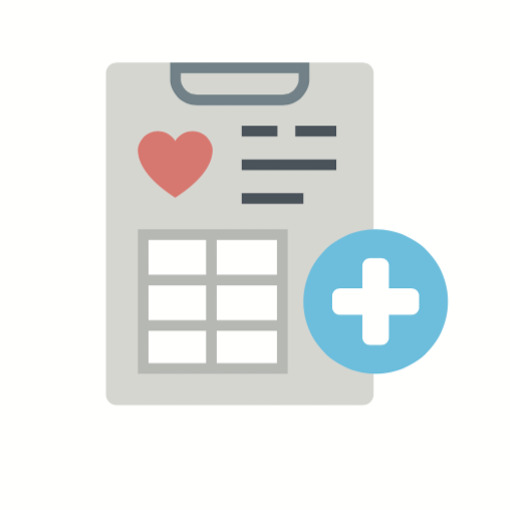 A patient-centric approach for you to build referral relationships. Your practice should be receiving more referrals from medial doctors. We understand how frustrating it is to not receive many medical referrals. Then we discovered the process that has helped hundreds of chiropractors build referral relationships. How many referrals are you missing out on by not building referral relationships? If you’re not building relationships with other healthcare providers, you may be missing out on an additional 5-15 new patients per month. You may also end up spending more and more money on advertising with little results. Market your practice effectively with fully-customized educational research updates. Build trust and rapport by meeting with other physicians- no extroverted personality required. Send case notes easily using our fool proof system. Many of our Members have doubled their incoming referrals using our step-by-step modules. The Members Vault contains every report, template, and guide you’ll need to get started. We’ve been there, we’ve done it, and we’ll be by your side every step of the way- from implementation to the day you start getting referrals. Do you want to learn how to position your practice for long term success? Do you want to build a more stable practice with more new patients? Do you want to increase your referrals from other doctors in your community? Fully-customized monthly research briefs to market your practice with consistency. There’s a lot of research out there. We hand select the best and put into a powerful monthly research brief designed to highlight your practice, establishing you as a local leader in conservative healthcare. We’ve worked with hundreds of chiropractors, just like you, who are looking to make a difference in their community and help more people experience chiropractic healthcare rather than traditional sick care. You’re the sum of the five people you spend the most time with. So doesn’t it make sense to spend time in an exclusive group, with other supportive docs who are working toward similar goals? We think so. 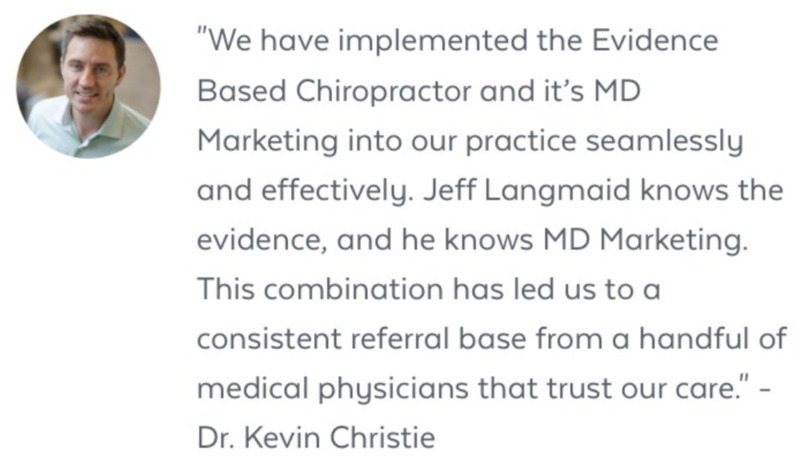 It’s why all of our members have access to The Evidence Based Chiropractor Mastermind Group. Our complete system includes step-by-step video modules and all of the reports, templates, guides, and customized research updates needed to start bridging the gap and increase your incoming referrals! per month on a month by month subscription, plus applicable taxes. Our complete system to build referral relationships. The done for you package. PLUS 10 outbound MD calls from our expert team. Payment = $800 today, then $800 yearly. Payment = $2540 today, then $2540 yearly. This means if you get just ONE extra referral from this system in an entire year, you will nearly double your investment. Also keep in mind that some chiropractors are getting an additional 50­-60 referrals per year. As you can see, even people on the ­low end more than doubled the yearly investment. I'm also using extremely conservative lifetime value numbers in all these calculations. Also keep in mind, most people will make more than 1 referral per month with these research papers. If you have trouble getting even 1 extra referral per month the members area contains my personal contact information, and you can call and ask for help (although I've never once had a single member quit and tell me they couldn't get an extra referral). That's why this membership is simply a no­-brainer. Marketing for smart, modern chiropractors. Our system is extremely easy to implement. Build trust, build confidence, and build your practice.